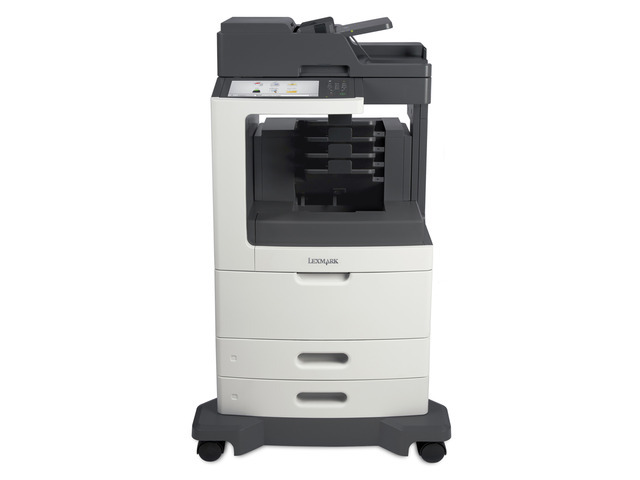 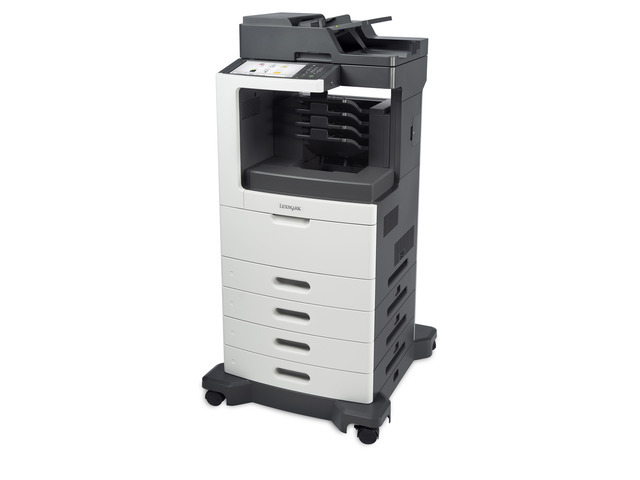 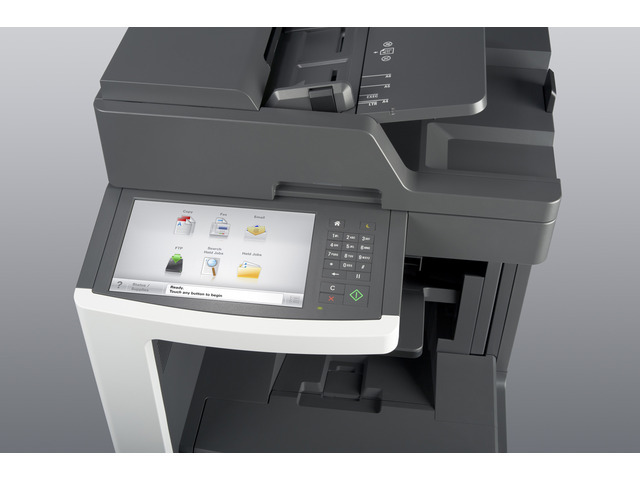 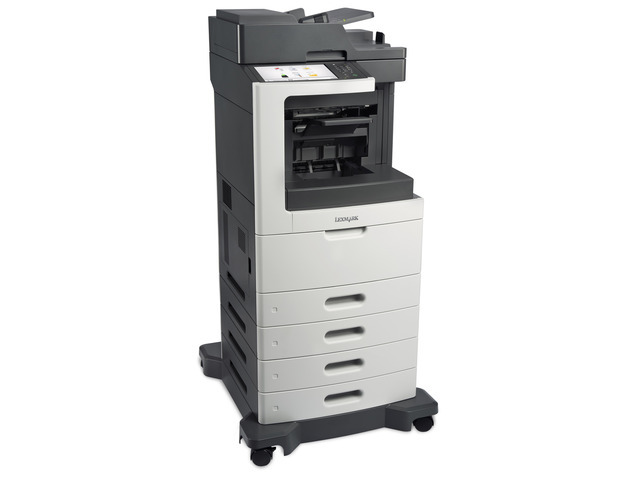 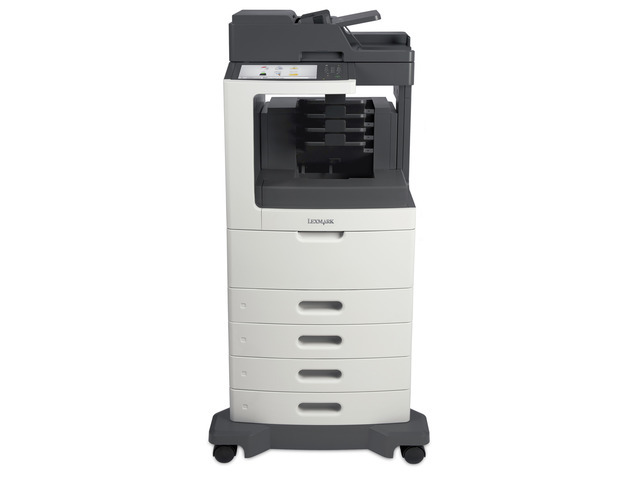 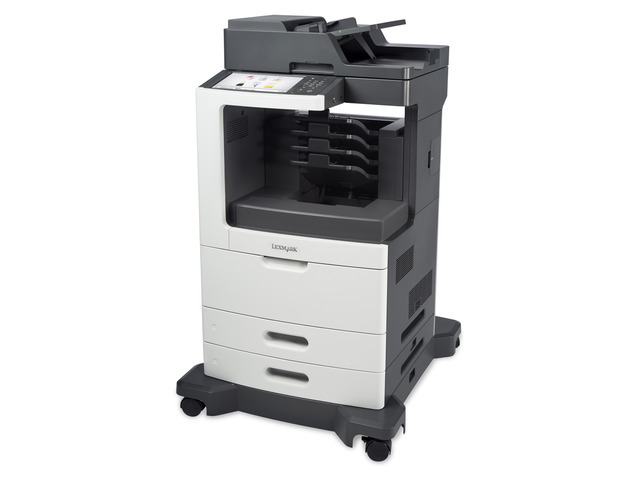 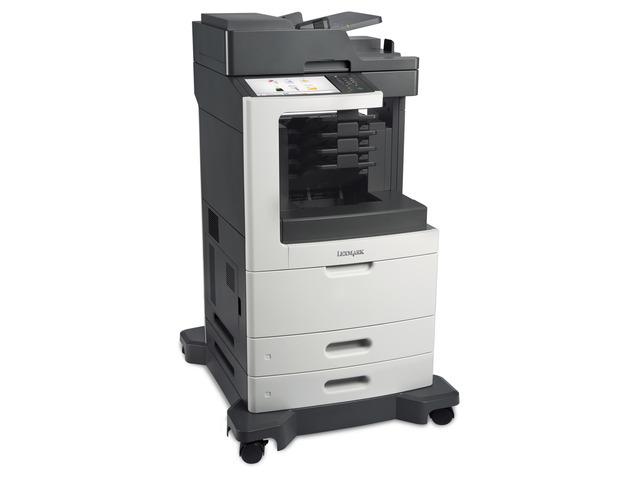 The Lexmark MX811dme MFP with a customisable e-Task touch screen, 4-bin mailbox, 1,200 sheets of standard input, 1GB of standard memory and a 160+GB hard disk provides print, copy, fax, scan and email functions. .
A vibrant, easy-to-use 10-inch class colour touch screen provides access to pre-installed workflow solutions.